Back to school jitters, sleeping by themselves... at one time or another we’ve all felt nervous about starting something new, meeting new people, being prepared and fitting in. Children too can feel jittery at these times and these herbal allies plus a trinket or two can help ease this transition and calm stressful children naturally. A fragrant, lemony plant whose leaves are filled with essential oils that help to reduce feelings of stress, anxiety, and nervousness and promotes a feeling of calm. 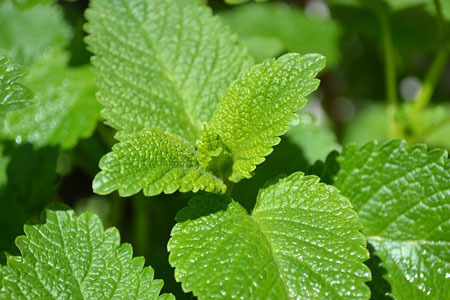 It’s a cooling, stimulating mint that eases nervous headaches and can also be helpful for restlessness, hyperactivity and ADHD. This gentle herb is especially helpful for children who feel stress and anxiety in their stomach with an upward movement into their chest and throat as indigestion, hiccups, or reflux. 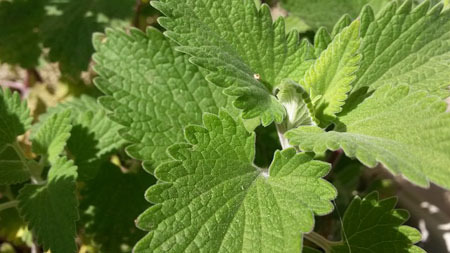 Catnip can also be helpful for children who hold in their tension and keep to themselves. Children who are "crying on the inside." These flowers help with tension that moves downward. This can be an upset, nervous stomach followed by bouts of diarrhea. It helps ease gas, bloating and indigestion and restore an overall sense of calm. 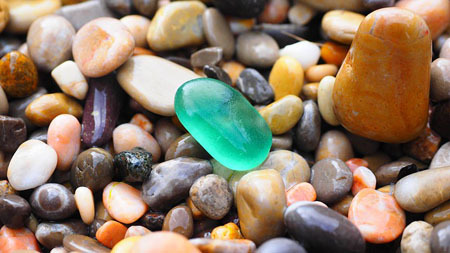 This essence promotes feelings of safety, security, and stability. It helps create a sense of 'home' and is recommended for children who are nervous about starting school and making transitions. Flower Essences are waters that are infused with a plant’s healing properties and taken 3 drops 3 times per day under the tongue. A small rock, a shiny coin, something that a child can hold in their hand if they’re feeling nervous is a great way to help a stay calm and find confidence throughout their school day. Give your child the trinket and explain to them the powers that it holds - confidence, stability, a sense of home, love from their family. Explain they they should hold it when they feel nervous. Kiss it, make wishes on it, state intentions, anything that gives your child a connection to it and its ability to help them. Try this throughout the day and at nighttime for children who are having trouble calming themselves down for a good nights sleep. It will help calm their mind and body and help them fall asleep easier.